Though renting out your house sounds like a big responsibility, the payoffs are often large. With a little research and preparation, you could rent your property for a fair price and protect your valuable investment, too. Considering the increasing property values, renting out a place and staying on rent could both help save big sums of money. As renting out a place means additional income, many senior citizens consider renting out a room or two in their flats. What you get depends on many factors – the amenities provided, the maintenance fee and demand for the property. After considering these, one would arrive at an approximate rent in that area. 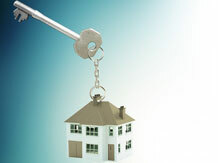 Additionally, one can bargain for better rent, depending on the weightage of these factors. In other words, you could ask for a higher rent if your society allows the tenant to use amenities such as gyms, swimming pools, etc. Besides, your broker could easily help you find the current rent rates in your area. However, real estate experts say it isn’t always necessary to abide by the broker’s word; one should be satisfied with the rent he gets. It is extremely important to do a background check of the tenant before allowing him/her to use your flat. This is because the tenant is also responsible for keeping your flat in good condition. To be safe, it is best to check for minute details of your society and its by-laws. For instance, some housing societies deny tenancy based on a person’s eating habits or his/her marital status. Real estate experts say tenancy can be denied only if the qualifying conditions are stated in a society’s by-laws. One should also check important details such as the tenant’s current job, the contact details of family members and the number of people who would occupy the house. Also, keep a photocopy of his identity proof and verify this with his previous landlord, says Jagtap. After you find a tenant, you have to prepare a ‘rent agreement’, with the broker’s help. The broker would also help carry out tedious errands such as the tenant’s police verification and registration of the lease agreement. Police verification and registering the agreement could take up to eight-10 working days each. One cannot rent out a flat without completing these formalities. Samantak Das, research and advisory services director at Knight Frank, says every city has a pre-planned rent agreement. “Since documentation takes time, one should keep this ready as soon as he/she decides to rent out his apartment,” he says. Ideally, the tenant is expected to pay only the electricity bill of the house; property tax, maintenance, stamp duty and registration fees are to be borne by the flat owner. The deposit money, the rent payment mode, the type of agreement, the description of property and the tenure of stay are a few things the agreement should contain. The facilities the tenant is liable to pay for should be clearly mentioned in the agreement. Fearing misuse, most house owners don’t rent out their houses. However, if your rent agreement is intact, you could add relevant clauses in the agreement that would ensure the damages incurred (if any) are paid for. A similar legal process and a leave and licence agreement would have to be prepared by anyone who wishes to rent out even a single room of his apartment. The tenant and the flat owner should give each other a prior notice of three to six months if they want to terminate the contract. If the tenant damages the property in any way, doesn’t pay his electricity bills or does anything outside the contract, as an owner of the house, you could deduct the stipulated amount from his deposit. If the tenant refuses to vacate the flat, you could file a police complaint. In case of breach of contract, it might take two to three months to resolve such cases, depending on the seriousness of the complaint, says Dutt of Cushman & Wakefiled. While renting out a flat is the flat owner’s decision, the housing society in which the flat is located may have a say in the matter. Individual societies are legally empowered to deny tenancy, based on their by-laws. However, the conditions concerned aren’t stated in the society’s by-laws, one can dispute these.